VC 1.800 17239610 https://www.kaercher.com/ae/home-garden/vacuum-cleaners/bagless-vacuum-cleaners/vc-1-800-17239610.html The VC 1.800 dry vacuum cleaner with reusable textile filter and switchable floor nozzle for carpeted floors and hard surfaces impresses with its stable design and powerful motor. 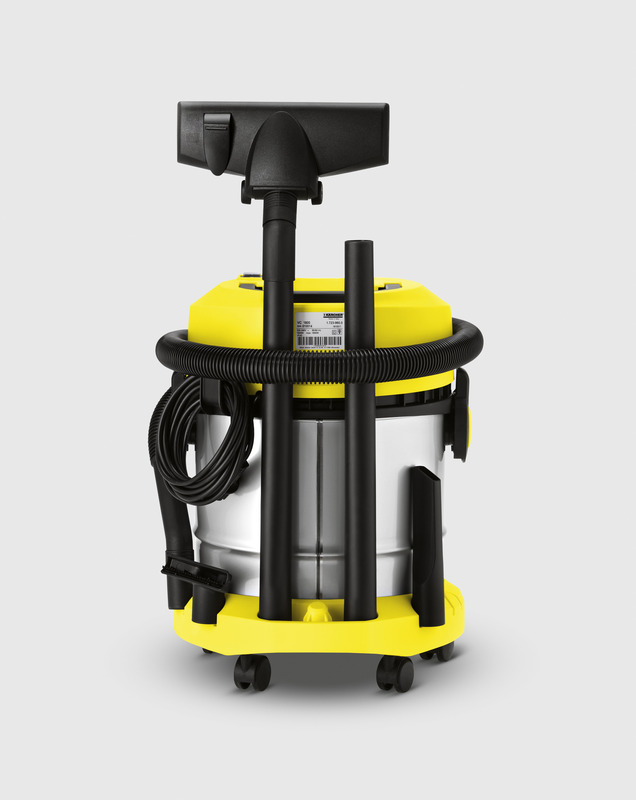 The VC 1.800 dry vacuum cleaner with reusable textile filter and switchable floor nozzle for carpeted floors and hard surfaces impresses with its stable design and powerful motor. Full power ahead: The powerful VC 1.800 dry vacuum cleaner is equipped with a strong metal container and sturdy, convenient features that make work easier and decisively deal with dirt. 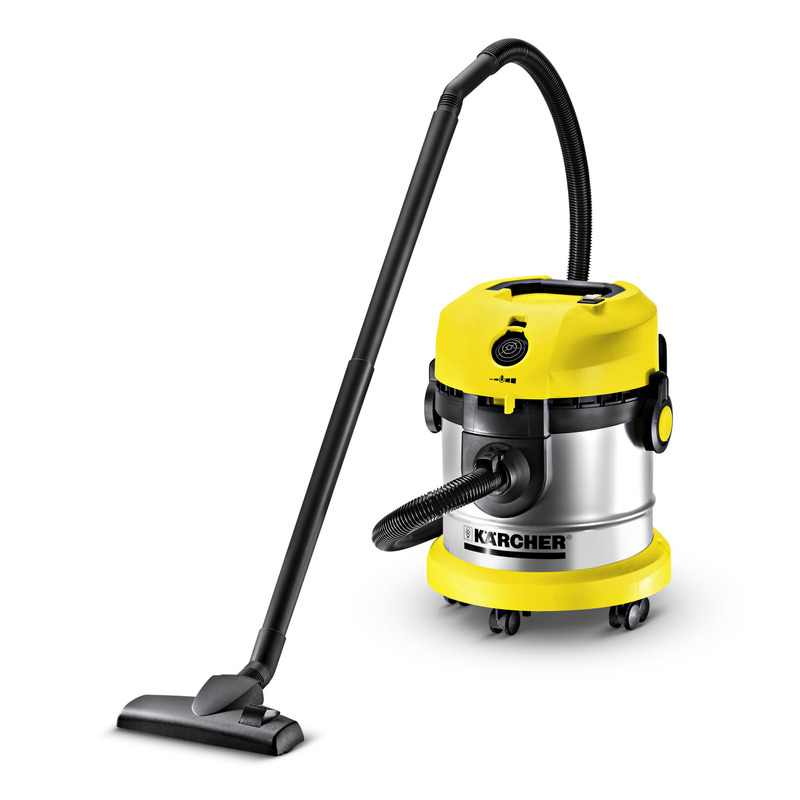 One example is the blower function, which frees even hard-to-reach areas from dust and rubbish. The strength of the air flow can be easily adjusted to suit the respective cleaning situation via a slider. The switchable floor nozzle ensures optimal dirt pick-up and fully satisfies all your cleaning needs on both carpet and hard floors. Thanks to the practical accessory storage compartment, cords and accessories can be quickly stowed away to save space. The reusable textile filter included in the scope of supply is also an especially practical feature, as it entirely eliminates the need to keep buying expensive replacement filter bags. The reusable fabric filter puts an end to buying replacement filter bags. Simply remove the filter, wash it and refit it, and the vacuum is ready to use. The robust and sturdy metal container is designed for a long service life. The switchable floor nozzle can be quickly and easily adapted to the floor covering and ensures optimal dirt intake. The practical carrying handle makes it easy to transport the VC 1.800 or remove the top part of the machine. Opening and closing the container is easy with the user-friendly lock system. The storage system is practical and versatile. The cord and accessories can always be stored quickly and compactly.